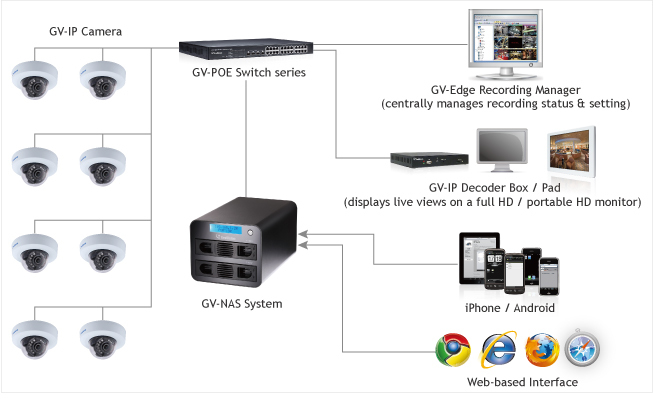 You can choose to purchase a GV-NAS System package or a bundled package which also includes 4 GV-Target IP Camera of your choice and a GV-PoE switch. More details, please see "Packing List" tab. 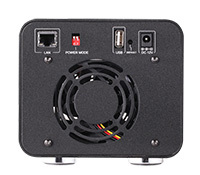 For system efficiency, we recommend the following enterprise level hard disk drives. Avoid using desktop level or green HDD which may affect system efficiency. 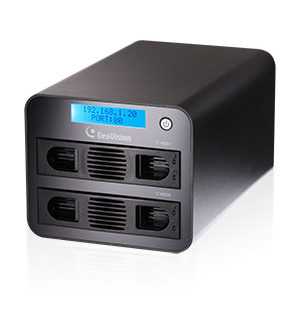 Note: GV-NAS2008 is designed for 3.5" hard drive disks (2.5" ones are not supported), each at the maximum of 4 TB. 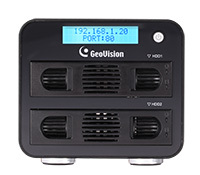 GV-NAS System supports the following IP cameras. 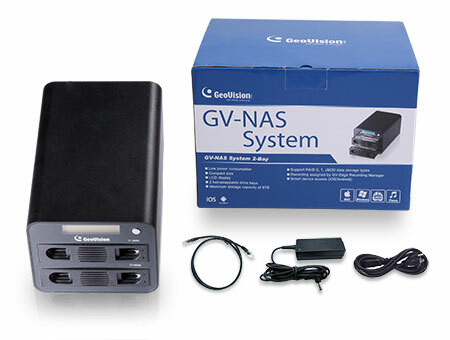 Note: GV-NAS2008 supports automatic system startup (at power resumption) using a hardware DIP switch. 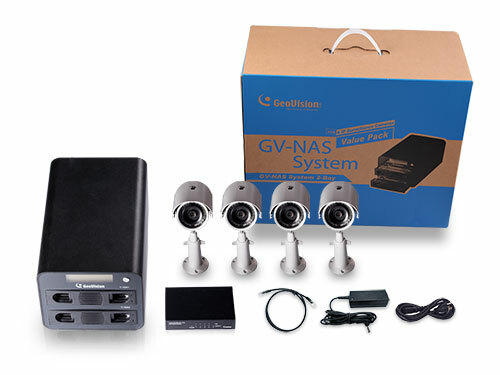 You can choose to purchase a GV-NAS System package or a bundled package which also includes 4 GV-Target IP Camera of your choice and a GV-PoE switch.